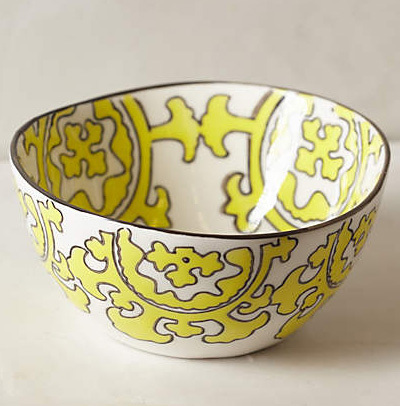 This smooth stoneware Yellow Gloriosa Cereal Bowl boasts painterly garnishes for all of your sumptuous courses. $14. Buy here.